LOS ANGELES, CA: GolinHarris' president of the western region Judy Johnson is leaving the firm after 17 years to join real estate company Caruso Affiliated in a newly created role as chief marketing and communications officer. LOS ANGELES: GolinHarris’ president for the western region, Judy Johnson, is leaving the firm after 17 years to join real estate company Caruso Affiliated in a newly created role as chief marketing and communications officer. Johnson will leave Golin on April 3, and begin the new role on April 14. Reporting to the company’s founder and CEO Rick Caruso, Johnson is tasked with all external and internal marketing, communications, stakeholder engagement, branding, strategic partnerships and alliances, and executive visibility, among other areas. "From a real estate company perspective, [Caruso Affiliated] is very unique because we have so many different divisions in our company," said Caruso. "Between marketing, PR, and sponsorship, we do a lot to bring the right customer onto our properties on a daily basis. To be the most efficient with all of our resources, we wanted to have one person in charge of all of those assets to make sure they are all properly coordinated, which is why we created this role." Johnson will oversee Galit Shokrian, SVP of marketing and comms; Liz Jaeger, VP of PR; and Dan Burgner, EVP of asset management. 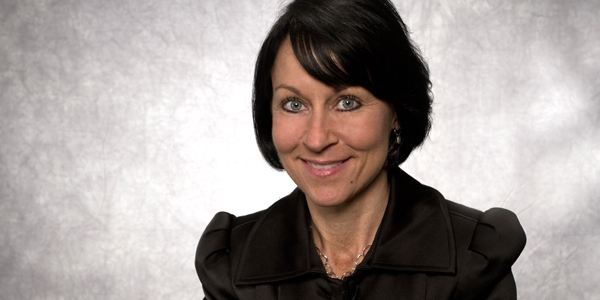 "As the first female senior executive in [Caruso Affiliated’s] history, I am super thrilled to make way for more great women and offer the C-suite a woman's leadership and perspective," Johnson said. Caruso Affiliated has seen growth of 20% compounded annually, according to Caruso, and has a "robust" acquisition and development pipeline. The marcomms chief position has been created to manage this growth and keep the company "at the forefront of the industry," Caruso added. After Johnson departs GolinHarris, the firm’s executive directors, Stephen Jones and Samantha Sackin, will take on her responsibilities on an interim basis until a permanent replacement is found. Jones and Sackin, who previously reported to Johnson, will report to the firm’s president of Americas Gary Rudnick in the interim, and will be responsible for growing client relationships, new business development, and managing the integration of the agency's G4 model in its Los Angeles, San Francisco, Orange County, CA, and Seattle offices, according to Rudnick. "There is a possibility [Johnson’s] replacement could come from within or from outside the firm," Rudnick said. Johnson joined Golin in 1997 as an SVP, heading the firm’s marketing and brand strategy practice in Los Angeles. She worked her way up from EVP and was named president last January. Prior, Johnson was a VP at FleishmanHillard. In addition to Johnson’s replacement, Golin is also continuing its search for an MD in San Francisco, after Elke Heiss left the role six months ago. "[Heiss] decided to pursue other interests, and we agreed that it was time to go in another direction as we attempt to take our San Francisco office to the next level," said Rudnick. "I am not aware of her accepting another position." This story was updated on March 25 at 9:45 am EST with quotes from Rudnick about Heiss' depature from GolinHarris.